I choose destinations because I want to uncover the USA piece by piece. Seeking a destination is about learning it from the inside out. I am not your typical travel writer. It’s not about coming in and just grabbing highlights, I want to KNOW your destination. Now I know why Gallup is the perfect Route 66 destination. Put it on your travel list! Unsuspecting, calm, peaceful and full of scenery is how I describe Gallup, New Mexico. The unsuspecting part is that the area is perfect for families seeking destinations to really enjoy the outdoors, teach culture and history without picking up a book! I am not the typical travel writer who comes in, seeks out the best and writes about it. I like meeting people, getting in the mix and really seeing what the area is. You can not travel and get info from the outside you have to become part of the area. Destination travel in my book is experiential not just a bit of everything. Dive in, learn it, then tell it, and that is just what we did! Every time I journey to a new destination I unfold it piece by piece. What was interesting about this adventure is that my 3 teen travel writers joined me and each was taken back by what we discovered. There are stops and areas to see along the Route 66 famed drive but not everyone considers Gallup. Allow me to share my finds with you because Real True is the experience you get in Gallup. History, culture, flea markets, food it’s all there but you gotta know where! This area is all about the locals, if they go, you need to as well! If their faces did not tell you enough already, here they are again, enjoying our walk through the downtown area of Gallup. Trust me, there are no limits for photography and educational moments without even trying! Gallup is tourist friendly Y’all. We have traveled our fair share and what we have discovered is that the community of Gallup is tight-knit and friendly. Once you meet someone, chances are if you are sticking around a few days you will see them again and again. If you fly into New Mexico, you are 2 hours from Gallup. They will welcome you! We loved this. From a gift of a bag of tortillas to fun with Corvette Kevin (our buddy that owns Nala the dog), it’s all there waiting for you to experience. A Gallup experience is about just enjoying your surroundings and remembering what it is to be human. From fabulous flea markets to hot air balloon rides, it’s simply adventuring around every turn. Don’t go here looking for anything that has to do with the movie “Cars” it’s not there. The only thing you will find that even lends to the Disney’s movie is Route 66. If you are here for Disney, you will be disappointed! 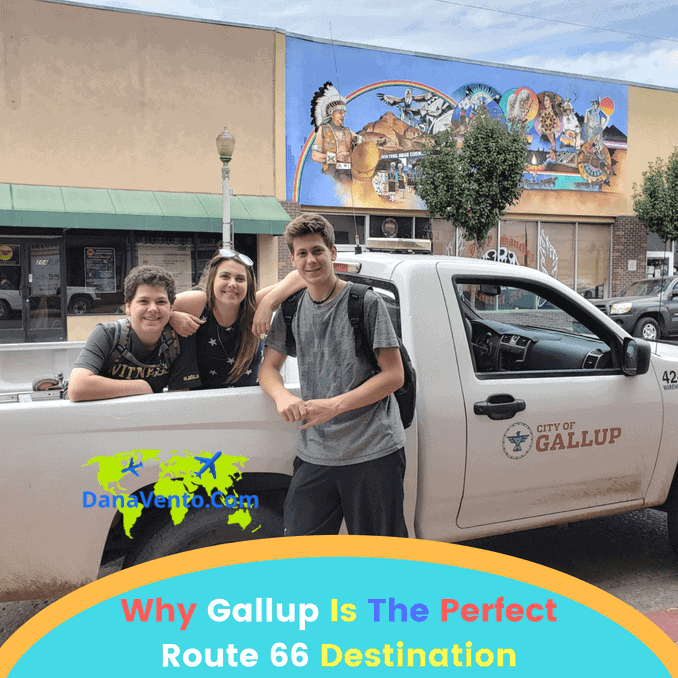 Come to Gallup for the famed Route 66, the environment, the scenery, the history, and trust me, you will be fulfilled! 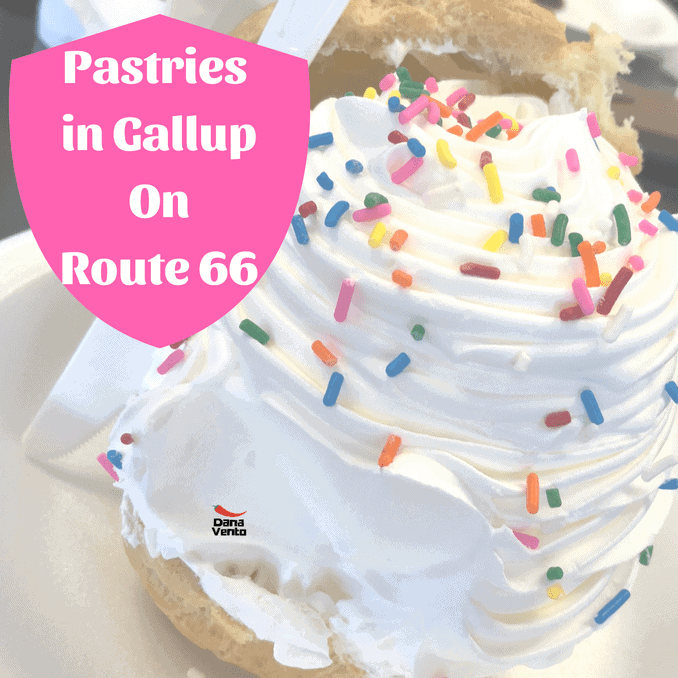 Route 66 moves right through the city of Gallup, but that is something you may not know. It’s populated with hotels and restaurants along the way. Foodies Get Your Gallup On! Yahoo! Glenn’s Bakery — Read about it then enjoy it! The cream puffs are heaven. Locals stack up around here from 7A -10A and the bakery sells out of its pastries. So get there, and stand in line, learn a little and enjoy the pastries and coffee! It’s as big as a plastic Knife, so Sharing is the key to conquering! Totally foodie royalty here! 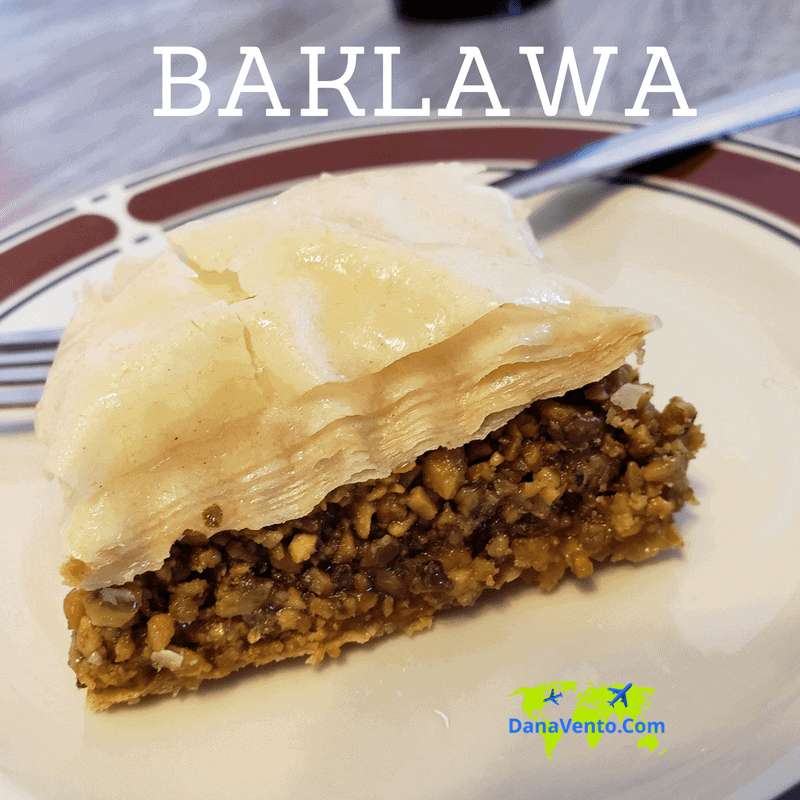 Baklawa like no other! The Oasis is where it’s at! Now you had to know my first thoughts would go to food as a culinary travel specialist. Every trip I take is not just about the adventures, but the food as well. Food and travel go together like peanut butter and jelly. So what would follow? Of course, food stops on or very close to Route 66 to go along with the great area. Rich in Native American history, downtown Gallup cultural and historical district will mystify you with its wealth of history. What you don’t know is Gallup is rich in artisans that handcraft jewelry, tapestries, woven baskets, and more. The price tag on these will knock your eyeballs out a few times over when you understand the artisan-ship that goes into them. Then, and only then will you be able to grasp what you are looking at. We stopped in at Richardson’s Trading to learn more there. 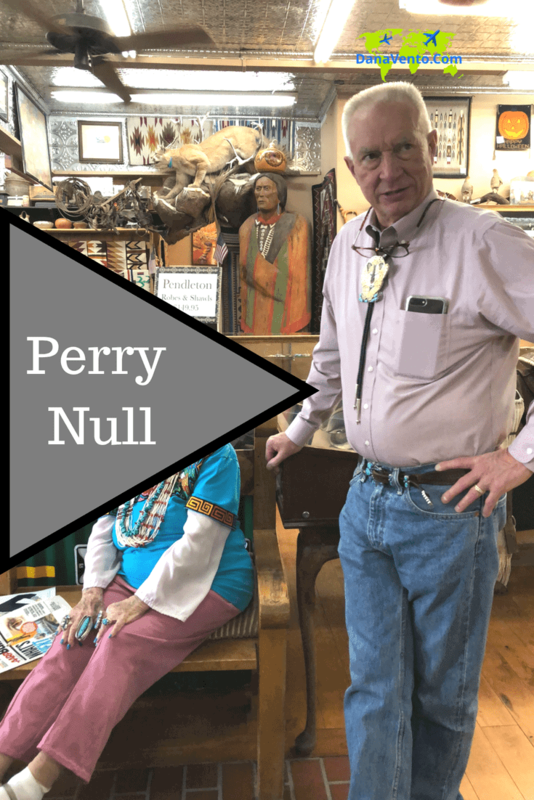 From key insight at Tanner Indian Arts from Emerald Tanner (they are pretty much Gallup Royalty as far as history in trading goes), to a stop slightly outside of town to Perry Null, there’s just so much. Mystified by all the businesses stating “Pawn Shop” it was soon revealed to us that Pawn in Gallup is not like Pawn elsewhere. In fact, Pawn in Gallup is a great ‘cover word’ for safe deposit vaults! Yep, Gallup has their own way of doing things. 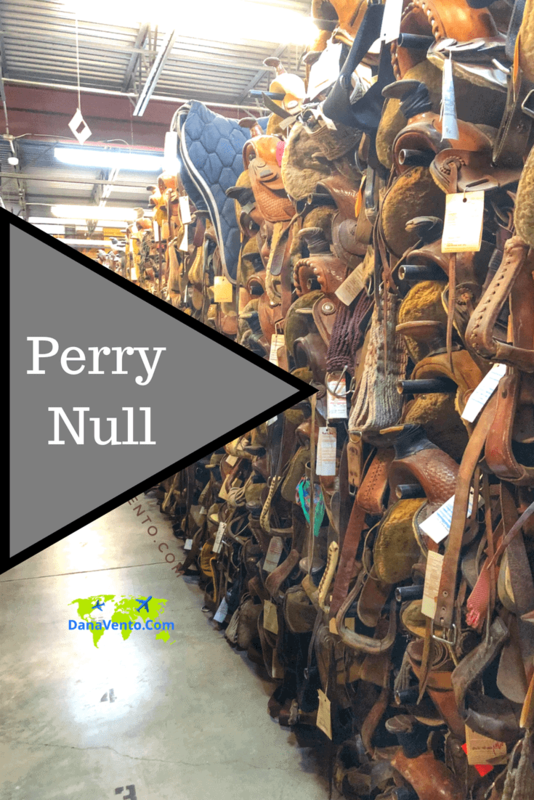 We visited Perry Null Trading and Pawn and Perry walked us into their vault of what we calculated to be better than 2800 horse saddles. Perry is quite respected in the area for the fair pricing that he provides to the artisan, he has lead the way in this industry in the area. Then there is the Pawn Side of this, which is not pawned at all..
Not your typical saddles, rather those handed down generation to generation, used in rodeos, etc. Each week those saddles are checked in and out by the owner and used and then returned for safe keeping. You see Y’all, Never Ever judge a book by its title, because Pawn Ain’t Pawn here! Every single trash receptacle through historic Downtown Gallup has been taken over by a work of art. Not one is the same and they are cool for photos! Like I said, ‘rich in artists’. As an additional piece of your walking tour, look at the walls of the buildings, there are murals scattered throughout, and every one of them shows a different story about Gallup! There are art crawls through downtown Gallup, you just need to visit the website to learn when. And when I say the whole town comes out to these crawls, I am not kidding. It’s a blast. Coming together in Gallup is truly a thing. For the 4 days we were there, the town got together for a Skate Park opening, Native American Dancing, a Vintage Car Show and “the Tunnel of Fire” finale on Saturday night. It’s free and interesting, and here’s just a bit of it, rather than me trying to retell the tale. The shows are free throughout May-September season, weather permitting. As for Hot Air Ballooning, and being part of the Hot Air Balloon Crew, I can attest to the fun. You get up at about 5A and show up in Red Rock Park in Gallup. Make sure you have reservations with your Hot Air Balloon Pilot of choice– I have 2 that I will recommend based on personal experience with each! It’s amazing to see these balloons in the air, it is surreal and I kept snapping photos, I could not help myself. Look at this, you just won’t believe what is happening right before you! Bill Lee runs Ex-Treme-Lee Fun Balloon Adventures and he is awesome. And there’s also Keith Takach of Takach Another Breeze (no website but hit me up for his email and I will give it to you) he took my kids up! Serious blue skies greeted us each day and the sun was extreme, but it did not stop us. From the famed Mud Ru, dusk hiking along Pyramid Trails, to hot air ballooning, we experienced Gallup the way it should be experienced. One night we took a hike, and we took flashlights. The imagery here is spectacular. While the trail is not for the lighthearted, is a hike of about 1.4 miles up and then down, there are steps and no railing, but so worth the effort. Hello Gallup, New Mexico dirt and can I please make sure to bring some of you home with me? 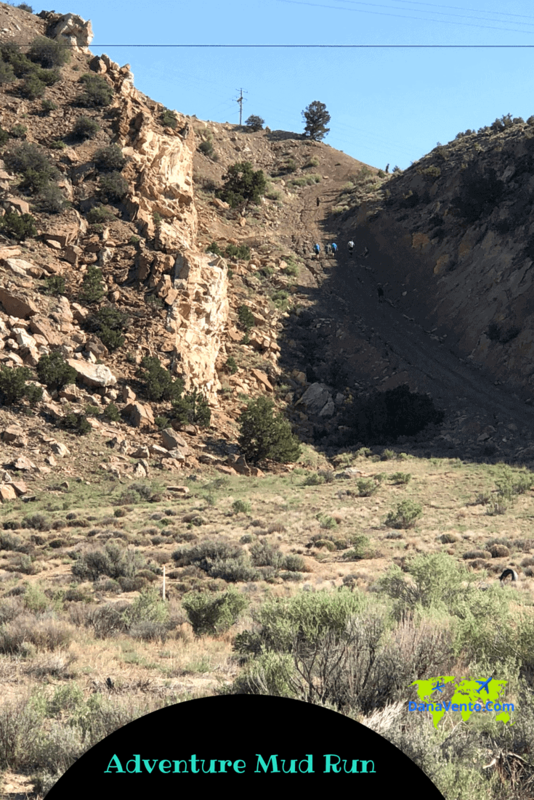 Well, you can if you run the fabulous Gallup Adventure Mud Run. 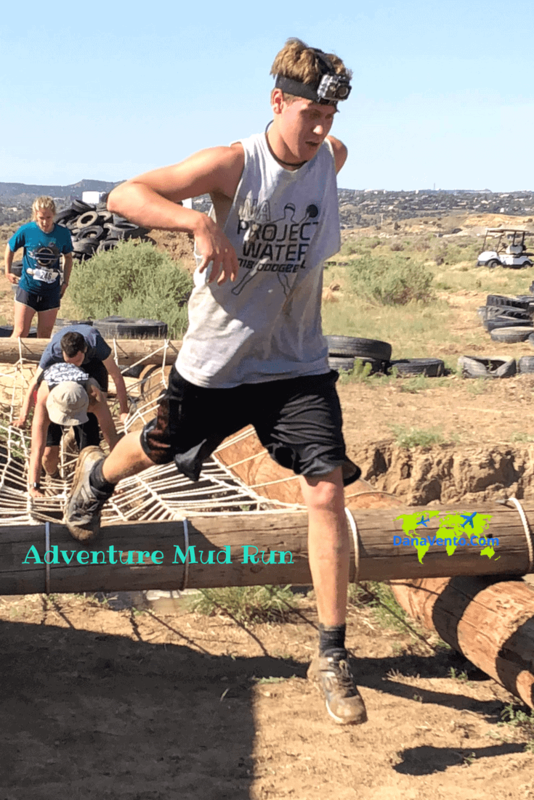 Where MJ travels has NEVER competed in a 5k nor in the sun and heat or mud and trenches, yet he managed to complete the entire course in 52 Minutes! He hung with the best of them! The terrain is dirty, dusty and completely rough. If you are up for a challenge you might have met your match. Pacing yourself is key here and of course going for the medal is important too! IF you like intense conditions, physical challenges, mud, water, and want to face a hill called “Cardiac Arrest Mountain’ I got ya! Get there, Cross that Finish Line!!!! It’s about endurance, fun and challenging yourself in the great outdoors! 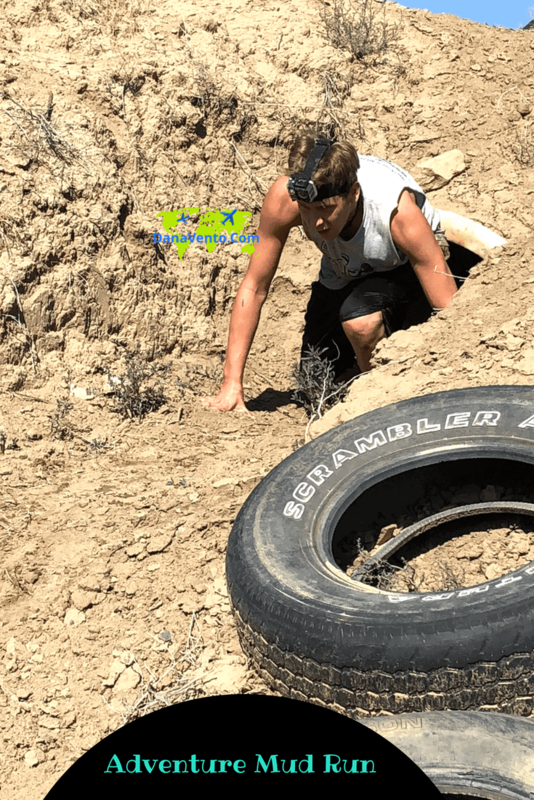 I almost thought he was too tall to get through the tires when he was crunching to get through but he did it! It’s crazy to see everyone working out so hard for this race and enjoying it. No thanks for my side of things, but my teens LOVED this run! My girl KallieVXO is here to share Life Imitating Art .. At The People’s Park In Gallup. For each member of your family, there is something to do, shopping, flea marketing, eating, adventure, culture, history, etc. There’s so much for the taking that a one day stop is not enough, but a 2 night 3 day stop is perfection.